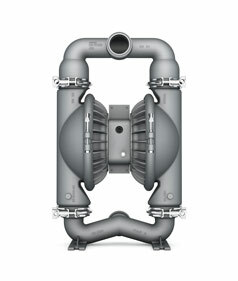 Since 1955, Wilden has been the market leader in air-operated double-diaphragm (AODD) pumps, proving their rugged durability and reliable performance in countless installations ever since, while pioneering some of the most innovative air distribution systems (ADS) that significantly increase pump productivity by reducing air consumption and maintenance. 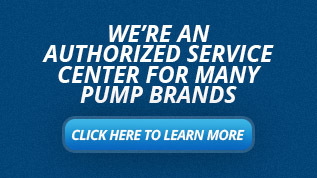 Wilden offers a wide range of pump designs, configurations, certifications, and materials of construction; there is a pump for almost every industrial application and process. 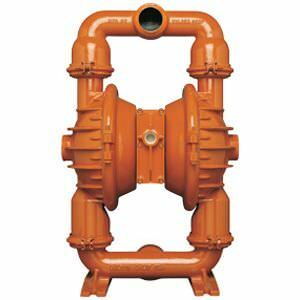 Wilden products include bolted metal and plastic pumps, clamped metal and plastic pumps, high pressure pumps, sanitary and hygienic pumps, and solids and slurry handling pumps. Size ranges from 6mm (1/4”) to 102mm (4”). Wilden’s ADS’s are the Pro-Flo, Pro-Flo Shift, Accuflo, Turbo, and High Pressure. The Pro-Flo shift is the most efficient ADS on the market, boasting a 60% savings in air consumption and costs 50% less than electronically-actuated ADS. The Pro-Flo is a simple durable system with superior reliability and cost savings to similar models. The Accuflo provides critical external pump control for a variable, easy-to-control stroke rate. The Turbo has no mechanical trip rods, bearings or springs to wear out or repair. Finally, the high pressure allows for high discharge pressures. With Wilden’s large list of pump types, sizes, and air distribution systems, they also offer elastomer configurations to fit any application, such as: Teflon®, Viton®, EPDM, Buna-N, Neoprene, Geolast®, Saniflex, Wil-Flex and Polyutrethane. They also offer different configurations of diaphragms, including: two-piece configurations, Ultra-Flex, EZ-Install and Integral Piston diaphragms. There is a Wilden pump to fit any Air Operated Double Diaphragm application in the market place. 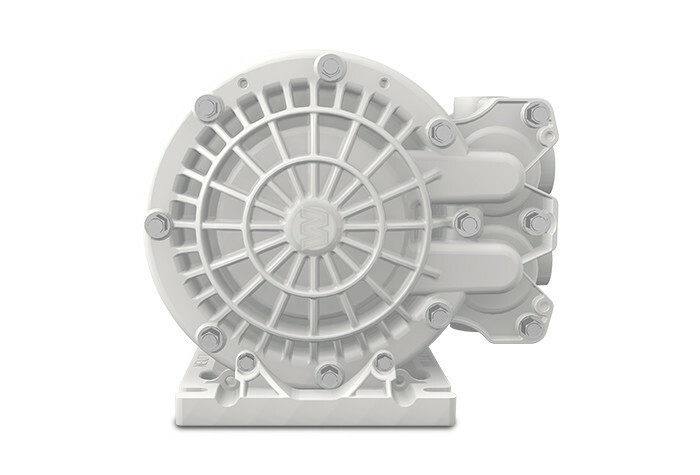 The Advanced Plastic Series pumps are bolted to ensure total product containment, solids handling and provide higher output and efficiency than the Original series. Offered in polypropylene, PVDF and Teflon® PFA, these pumps can be a excellent choice when chemicals are not compatible with metal pumps. ADS materials include polypropylene, stainless steel, and aluminum. There are a variety of ANSI, DIN, and threaded connections available. 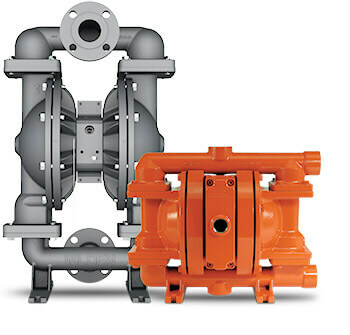 All Advanced Series Plastic pumps (except for the ½” sized) have flanged connections and they do not fit into clamped pump applications. The 1-inch size can be center port threaded, but the 400, 800, and 1500 plastic are flanged connections only. 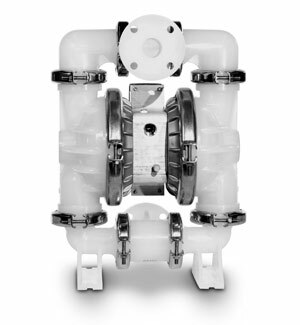 Wilden’s bolted Advanced FIT AODD pump feature superior flow rates, solids handling, and easier installation compared to other brands. The FIT can precisely go bolt-to-bolt and pipe-to-pipe with existing fluid-handling piping systems to provide increase performance with no re-piping necessary. In addition, the fluid path has been re-engineered to increase flow rates. They feature 316 stainless steel or aluminum wetted paths and largest selection of genuine Wilden diaphragms. ADS center block materials include aluminum, nickel-plated aluminum, stainless steel, or polypropylene. The Saniflo Series is a sanitary clamped metal pump for use in FDA and Hygienic applications, complying with FDA, HS, 3A, ATEX, and EHEDG standards among others. These pumps can be used in pharmaceutical, cosmetic, food, and beverage applications, capable of effectively pumping a wide range of viscosities, solids, and shear sensitive products. Constructed with passivated stainless-steel components and clamped connections, CIP capability is made easy. Wilden clamped plastic Original Series AODD pumps are tough utilitarian pumps that offer simple installation and easy serviceability with a sturdy design all at a low cost. 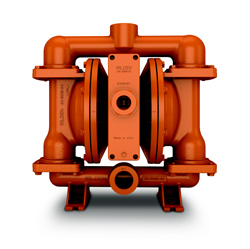 With large material and elastomer options to choose from, these pumps are compatible can be matched with your abrasion, temperature, and chemical compatibility needs, especially when chemicals are incompatible with metal. Like most Wilden pumps, the original series intrinsically safe, self-priming, and have dry-run capabilities. Wilden clamped metal Original Series AODD pumps are tough utilitarian pumps that offer simple installation and easy serviceability with a sturdy design all at a low cost. 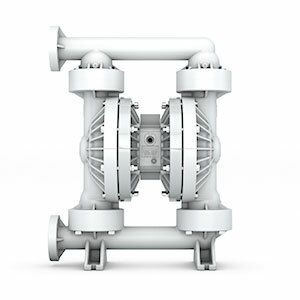 With large material and elastomer options to choose from, these pumps are compatible can be matched with your abrasion, temperature, and chemical compatibility needs. Like most Wilden pumps, the original series intrinsically safe, self-priming, and have dry-run capabilities. The Wilden V150 Velocity Series compact pump has a unique design featuring a detachable mounting foot. It can easily be reoriented into a vertical or horizontal position with multiple inlet and discharge port options. With this feature, it has been designed with skids and systems in mind to fit perfectly into restricted spaces. It also incorporates a proven and simple air distribution system (ADS) with only two moving parts for long-term reliability and reduced maintenance costs and downtime. Wilden also manufactures metal natural gas driven pumps that are CSA certified and available with the Pro-Flo Shift only. Sizes range from ½’ to 3” and stainless steel or aluminum construction. The submersible Brahama Advanced metal series was designed to easily handle slurries with large solids up to 3” available with the Pro-Flo Shift in 2” and 3” sizes constructed with die-cast aluminum and ductile iron.